The Performance DPF features a more efficient design with a proprietary coating engineered for performance resulting in a 21% higher flow than stock. 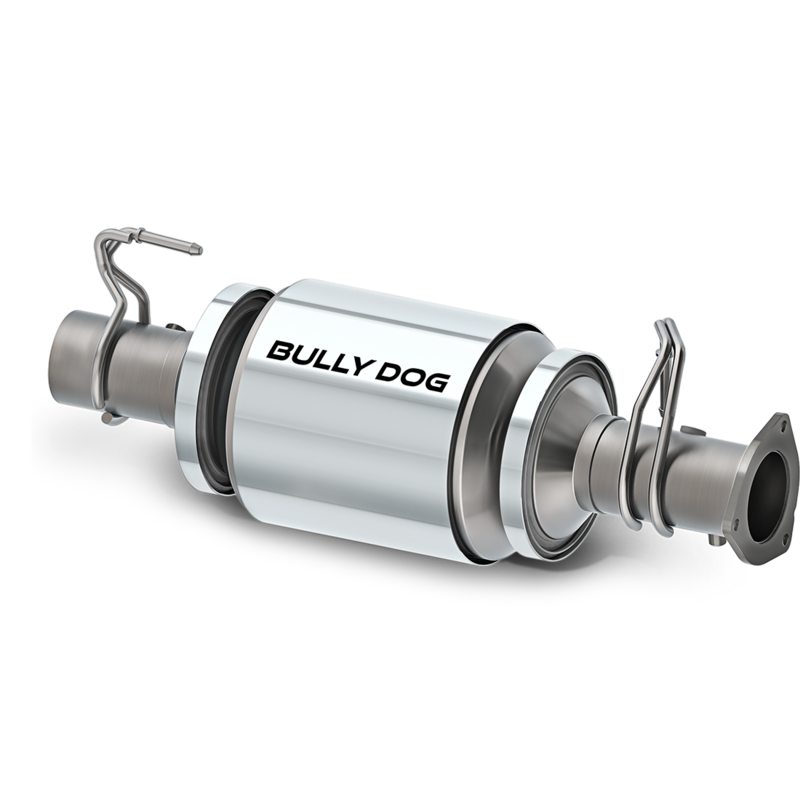 Realize measurable increases in performance using the Bully Dog Performance DPF alone, or pair it with a Bully Dog tune for max gains! 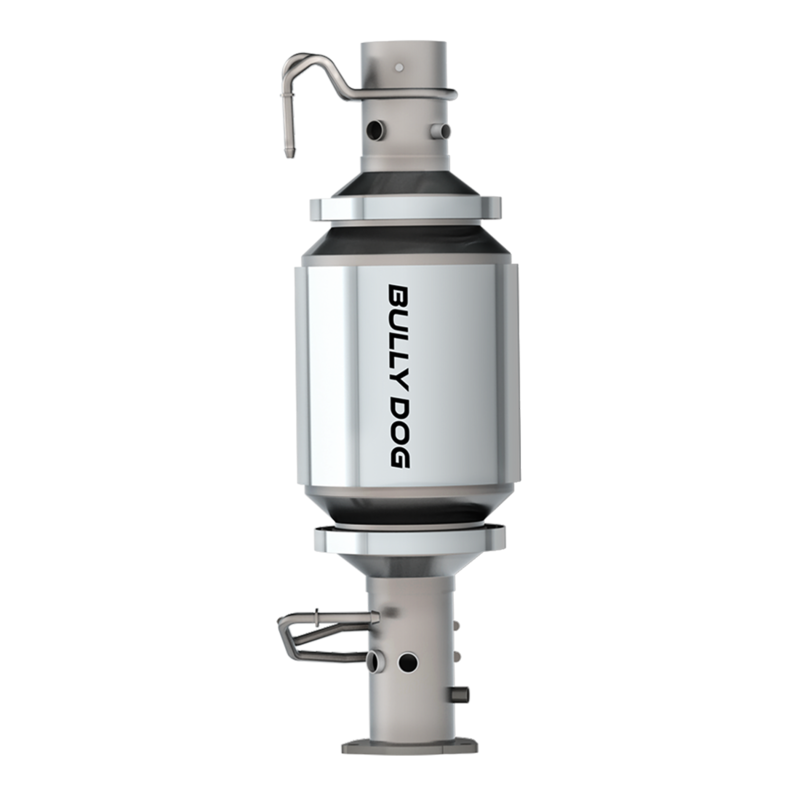 Constructed in North America from 409 and 304 Stainless Steel, the Bully Dog Performance DPF is built for long-term durability and superior aesthetics. The 304 SS V-band clamp provides full filter access for cleaning, meaning it’s the last DPF you’ll ever have to buy. Slower soot accumulation and faster-igniting particulate matter means fewer regens and consistent power between regens. Take back lost efficiency and add performance, all while remaining emissions-compliant. 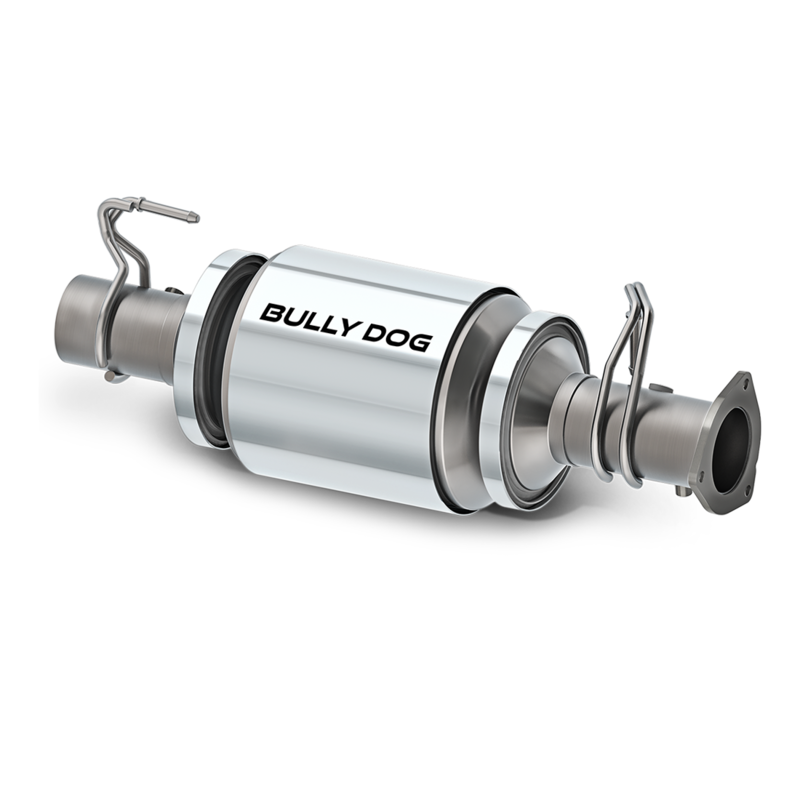 Bully Dog’s new Performance DPF is the industry’s first emissions-compliant aftermarket stock replacement, featuring a high-quality all-stainless steel construction and a high-tech proprietary coating. The DPF’s high-flow design is flow bench-tested to increase air flow by up to 21%. 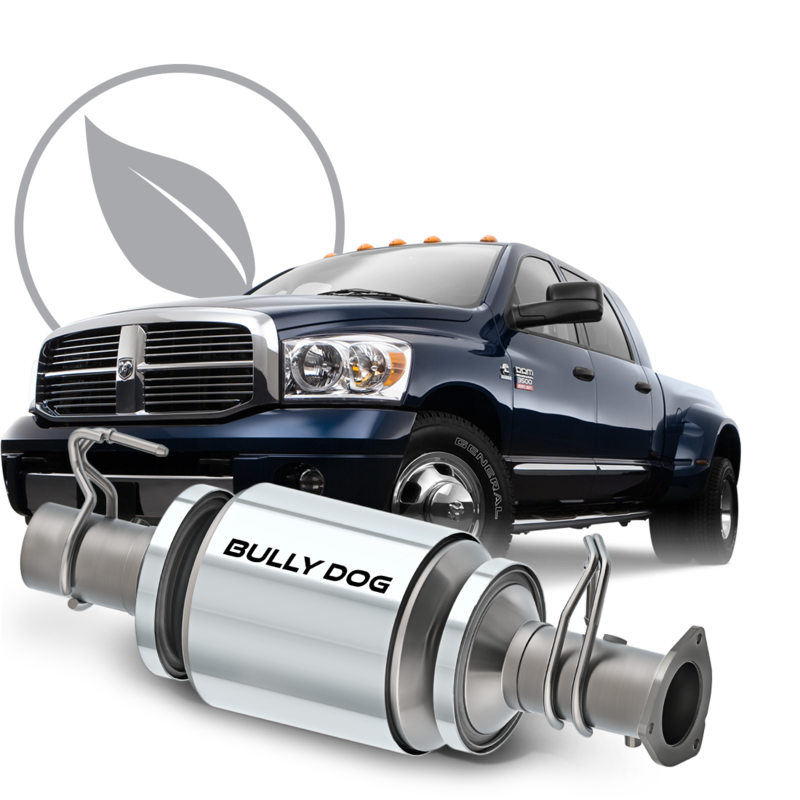 Realize measurable increases in flow and thermal performance with the Bully Dog Performance DPF alone, or go for horsepower & torque gains by pairing with a Bully Dog tune, available through our GT Diesel or BDX gauge tuners & handheld programmers. 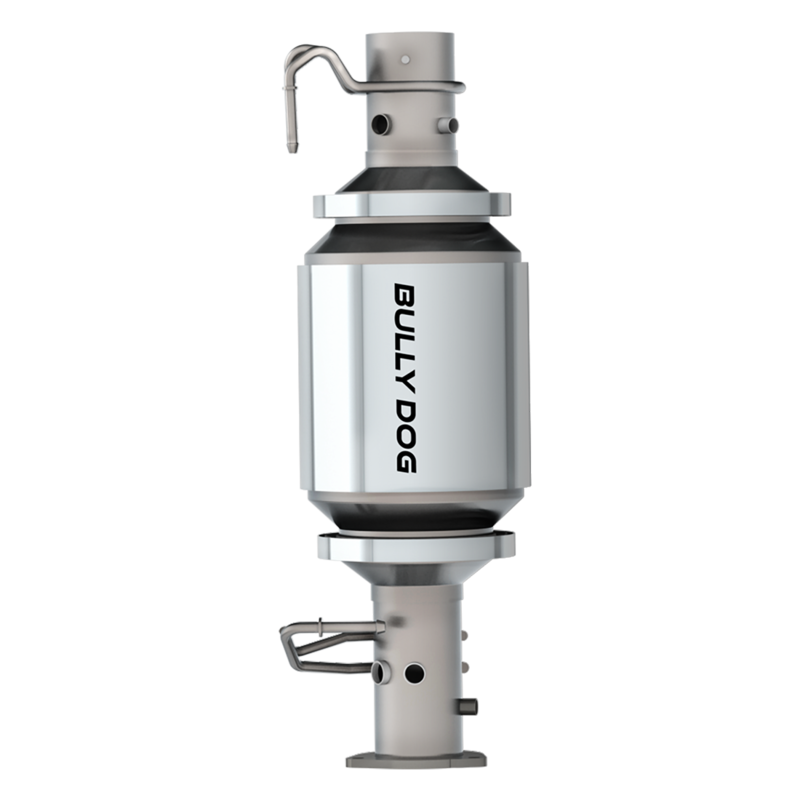 The Performance DPF also slows soot accumulation, reduces EGTs by up to 12%, and reduces backpressure by up to 44%. Our advanced design offers fewer regenerations and keeps your diesel at peak performance between regen cycles. To alleviate the maintenance challenges that owners face with DPFs, the Performance DPF is designed to be accessible and fully serviceable – much different than a stock DPF. Cleaning and servicing is a breeze: access the filter element via a stainless steel v-band flange. Trips to the shop for custom cutting and welding are now a thing of the past! Required testing has been performed and the manufacturer warrants that this part will not adversely affect emissions performance. 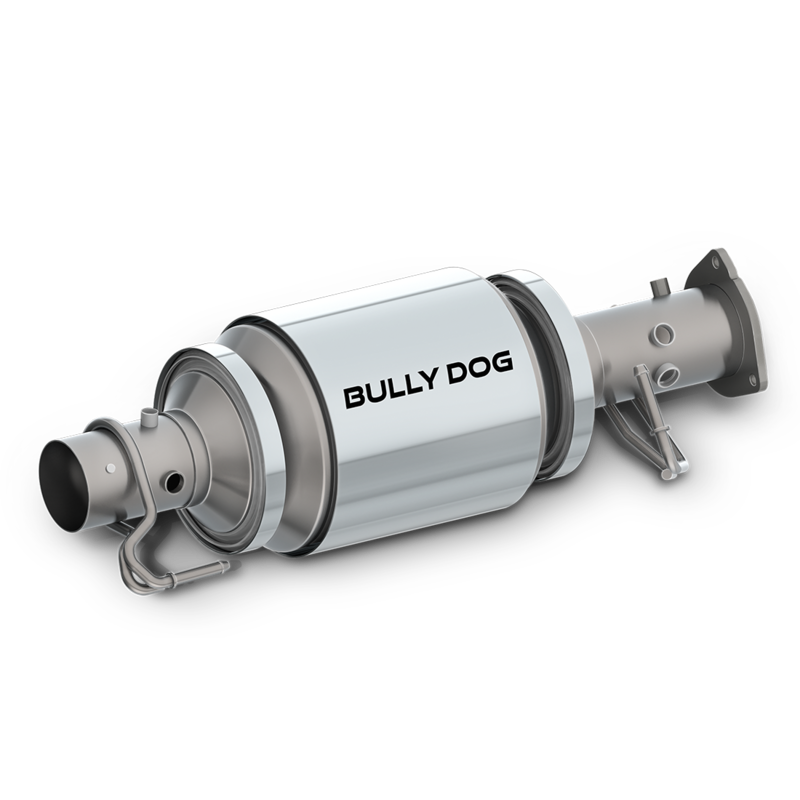 The Bully Dog Performance DPF is designed to produce measurable performance gains over stock, all while remaining emissions compliant. An advanced, proprietary internal coating coupled with a significantly larger body achieves less restriction than OEM filters. Achieve greater flow with the PerformanceDPF alone, or pair with a Bully Dog custom tune for max gains. The Performance DPF is designed to be the last DPF you'll ever have to buy. A clogged or inoperable DPF is a maintenance nightmare as it often needs to be cut into to be cleaned or replaced entirely, potentially costing you thousands. 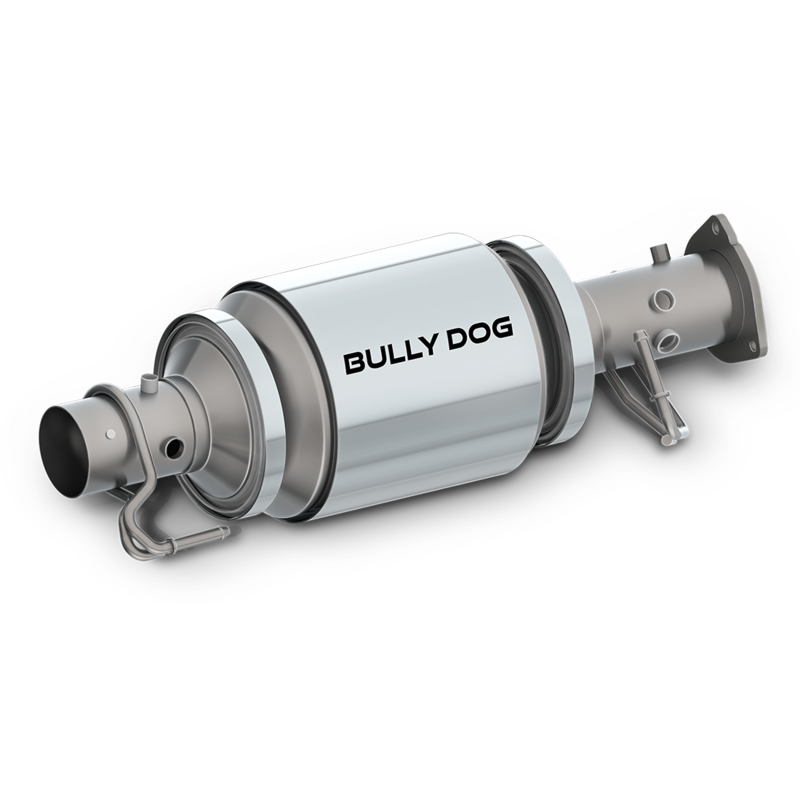 The Performance DPF from Bully Dog features innovative construction including V-band clamps that allow easy access and hassle-free serviceability. 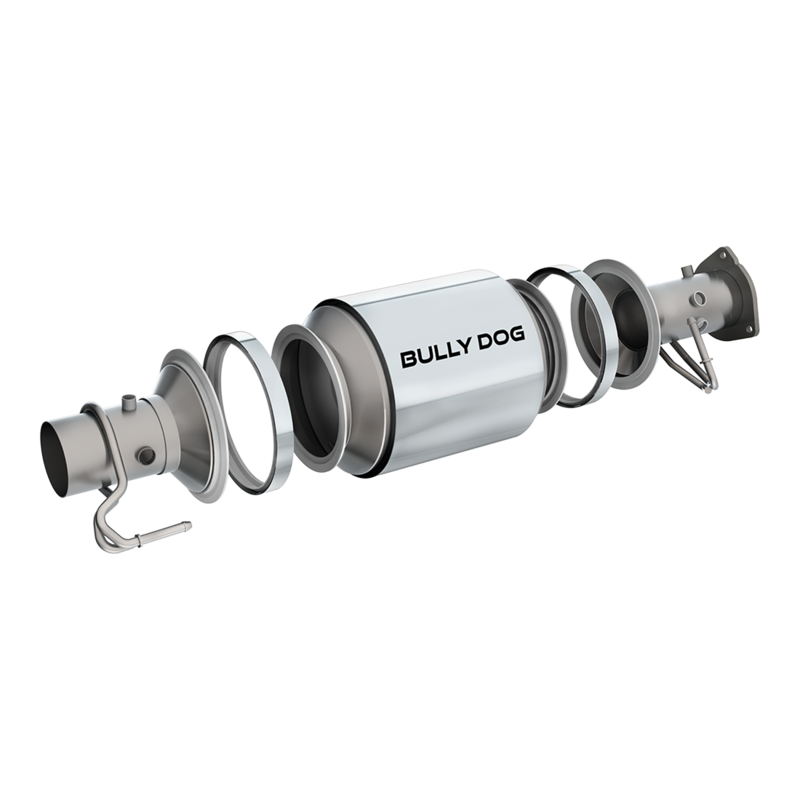 Its stainless body and polished stainless steel heat shield keep the DPF protected and looking great – all backed by Bully Dog's 2-year warranty. Developed with performance gains, exhaust regulations, and the environment in mind, the Performance DPF is proven to produce more exhaust flow for your vehicle while remaining emissions-compliant. Slower soot accumulation and faster-igniting particulate matter means fewer regens and consistent power between each regen. Compliance and performance – all in one package. 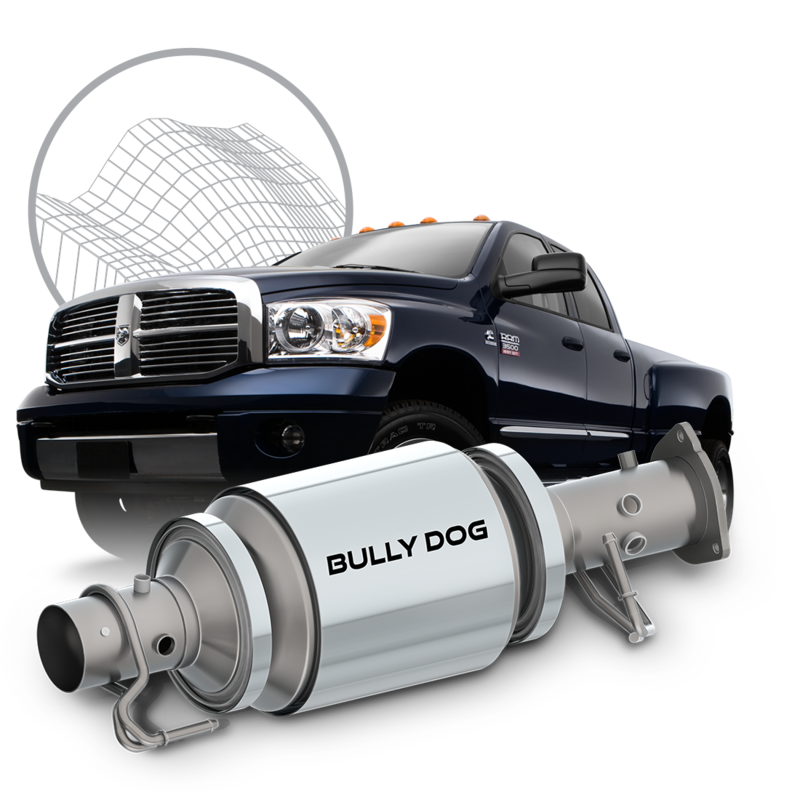 Bully Dog Performance DPF for Dodge 6.7L 07-12? 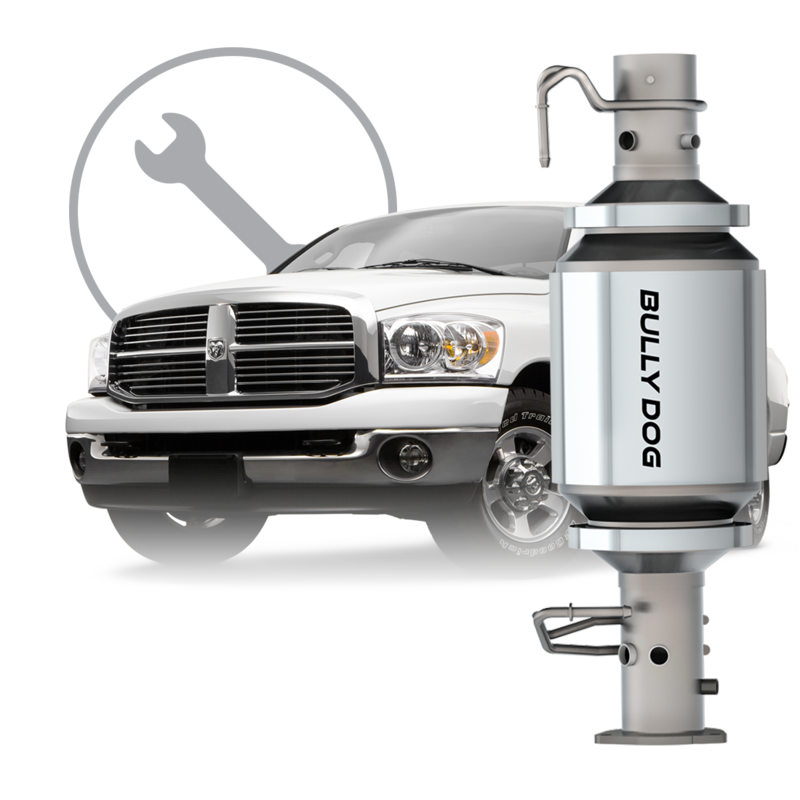 Tell us more about your experience with the Bully Dog Performance DPF for Dodge 6.7L 07-12. Your honest opinion helps people make smarter decisions. We all appreciate that.